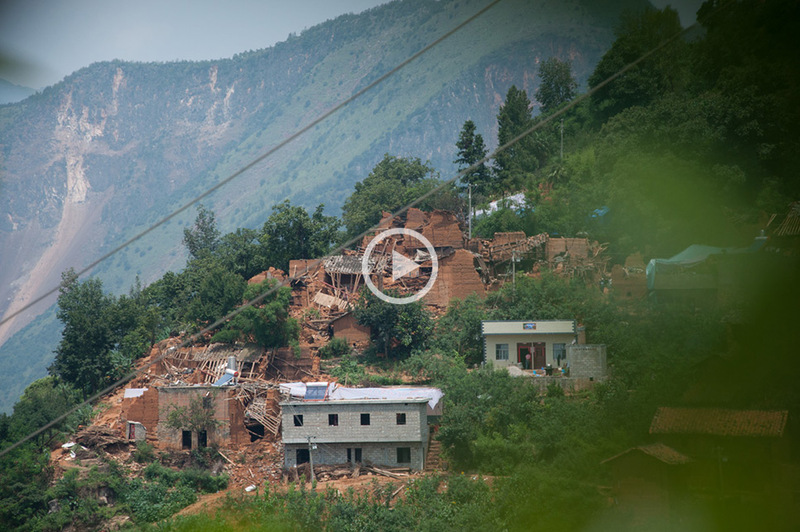 Relief workers are using aerial imaging to address two of the greatest challenges in the Ludian earthquake zone – identifying areas amidst the rubble areas to focus the search for survivors, and clearing roads for supplies to get to the disaster area. Following the magnitude-6.5 earthquake in Ludian on August 3, 2014 which caused more than 500 deaths and forced 200,000 individuals to relocate, the China Association for Disaster & Emergency Rescue Medicine (CADERM) has incorporated small unmanned aerial systems (sUAS) into their relief work. The team is using the DJI S900 and DJI Phantom 2 Vision+ flying platforms to provide workers with an overhead view, assisting post-disaster assessment and enabling them to focus their work in the most efficient way. Aerial images captured by the team were used by rescuers to clear a road from Guangming Village to Tiansheng Bridge by identifying the easiest points of clearance. The team has also worked in the epicentre area of Longtoushan, where most of the traditional buildings in the area collapsed. The dense rubble and vegetation have made ground surveying extremely difficult, so using aerial images has helped identify where relief teams can focus on searching for survivors.